When I went to my interview for a manual testing position I was asked how would you test a toaster? This was by far the strangest thing I had ever heard. I thought about it for a little then I went through a process of what I would do to test the toaster. When you ask someone to test a toaster, a car, or a video game the idea and process is the same, even though the the products are completely different. How you are able to work through this process decides whether you are a okay tester or a great tester. I know what you are thinking, what does this have to do with automation testing. Well, when testing is in your title you are a tester. The process that you must go through even if you are a automation tester is roughly the same, obviously unless your company does it differently I always talk in the ideal. So let us look at a toaster. 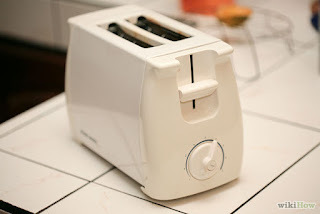 Think about it for a second, how would you test a toaster? Let me give you some answers to questions you should have. How many buttons does it have? It has one button for cancel and it has a slider for low, medium, and high, in terms of length of time. It also has your typical pull down lever for the bread and it starts the timer. So if we look at this we have to test the lowest, the middle and the highest to make sure those are working. We have to test the cancel and make the lever works. We also should make sure this works with common breads(white, wheat, bagel,…) as well as uncommon(pumpernickel, rye, other artisan breads,...). Alright so now we have a half baked plan. We need a legit plan. To make the plan we need to think about the most efficient way of doing this. If it were me I would look at the timer first with white bread and the first time I pull down the lever for each timer level I would cancel. That would give me a good baseline. I would then start on the uncommon types and try to twist the timer lever in between low and medium and also medium and high. I would try and press cancel when the lever is not down. I would also try running the toaster without any bread in it or 1 piece in one slot and none in the other. There is also running the toaster with nothing in it, to see what happens. This is by no means everything, but it is a good chunk of what should be tested. I am trying to show that for the tester there should be this process that goes on before testing, or at least in their mind while testing. Whether or not you consider yourself a tester, if you have tester or QA in your title you should be going through a similar process of testing things.